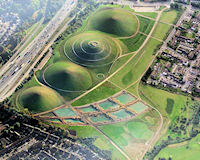 One of London's best new parks and walking routes. 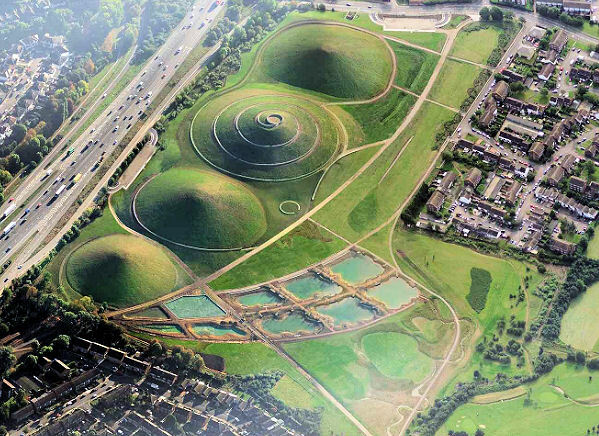 Description: This splendid new open space was opened in 2008 using excavated earth from the original Wembley Stadium and nearby White City shopping centre to create stunning hills and earthscapes. The four conical mounds cleverly help to reduce noise and visual pollution from the heavily-used A40, as well as providing some super panoramic views for hikers. The name Northala is how the old manor house of Northall (Northolt) was originally written in the Domesday book of 1086. Also here are 6 fishing lakes supported by a fishing charity, a model boating lake plus plenty of biodiverse wildlife ponds, streams and wetlands.